We are a full service general contracting company, specializing in residential remodels, new home building, additions and aging in place design. Home Care Contractors recognizes the importance of Communication, integrating it into all aspects of our services. We deliver professional service at an unbeatable value. Bora Construction’s team vision and mission is to provide each and every client with the highest quality workmanship, innovative design ideas, efficient project managing with affordable pricing. Lee and his team are artists that guide their clients through the creative process of design and a builder experienced in the pragmatic rigors of construction. 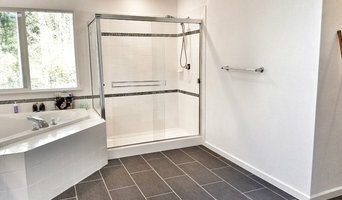 Best of Houzz Winner. 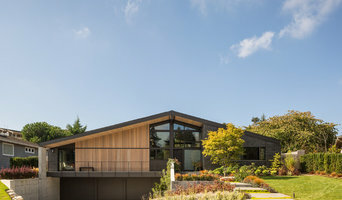 We are a full-service architecture firm based in Seattle committed to building eco-friendly homes that are highly accessible for people of all ages. FEATURED IN BEST OF HOUZZ. 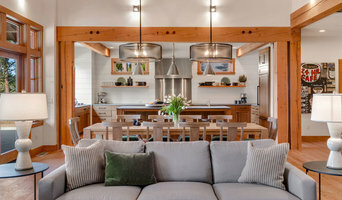 Based in Seattle, MLB Design Group is known for designing functional and beautiful kitchens, relaxing spa-like bathrooms, and entire home renovations that reflect each homeowner's personal style. Marie Lail Blackburn, the firm's owner, offers a collaborative, professional, and friendly process to help homeowners create these beautiful transformations. Specializing in residential remodeling, MLB Design Group is well-known for delivering personalized design solutions and high levels of customer service and satisfaction. Please read the many reviews here to learn more about our clientele. The firm is led by Marie Lail Blackburn, Washington's only design professional awarded both CMKBD (certified master kitchen + bath designer) and CID (certified interior designer) credentials. For homeowners, these credentials mean that plans developed for their projects will be technically correct and conform to current codes and guidelines. An ability to really listen to clients' ideas and hopes provides assurance that their dreams come to life. A proven process of generating and evaluating multiple ideas assures nothing is overlooked, while careful documentation leads to an efficient build phase. MLB Design Group is known for its knack with interior space planning and a certain panache with Northwest organic contemporary style. Marie moved to Seattle from Hawaii at the "turn of the century" bringing with her a love for the "indoor-outdoor," casually sophisticated lifestyle of the Islands. Her work often reflects this influence, with its imaginative use of space, unique applications of natural materials, the talents of makers and craftspeople, and design solutions that support healthy and sustainable living. Her clients are her strongest supporters honoring the firm with repeat projects and entrusted referrals. Her work has been honored with many design awards. Thank you for reading this far, and please call on us if we can be of service to you. We are artists. We design homes that reflect the lives of the people who inhabit them, the people who drink their morning coffee at the counter and who curl up next to the fireplace on rainy days. We tell their stories through light, space, and that perfect gesture that makes a house a home. Every brick, every shingle, every color converges to compose a single story. The entirety of our design process–from the first evaluation of the land to the final selection of the cabinet hardware–centers on dialog with our clients. Each step is service and each choice, artistry. Each home is a new and fascinating story, ready to inspire us anew. This is the art of architecture. Located in Kirkland, WA our firm provides quality design for those seeking serenity and beauty with a sense of proportion. We specialize in customer service because we love working with people. Our residential practice consists of a wonderful variety of opportunities and challenges from our clients, including new construction, major remodels, and small explorations of beauty. Our mission is to work as a team with our clients, listening & developing their objectives & visions into beautiful architecture. We focus on detail, budget, & environmentally friendly materials. Specializing in integrating architecture, structure, detailing and finishes to create a composition that blends creative design with economic reality. For those seeking comfort and beauty with a sense of proportion. Steven Dona Architecture values quality design tailored to the client's lifestyle and living patterns. We listen to our clients to reveal their desires and needs. We have the experience to provide creative solutions for a variety of architectural styles and budgets. Shepel Homes is your trusted partner in stone exteriors and siding. It is our priority to deliver construction services to you, our client, in a most professional and intelligent way. Dansk Design offers affordable, functional, custom architectural plans for remodels and new construction. Learn more at www.danskdesignseattle.com. Please call (425-443-5927) or email (DanskDesign@outlook.com) to set up an appointment. Please do not send messages through houzz as there may be a delay in receiving them. Acclaimed and nationally recognized architectural design firm with a long history for excellence in residential design. Offering wide array of services both new, boutique style and remodel. We are a design/build firm in the true sense of the term. You work with one company from architectural design through construction and right on into interior design. We pride ourselves on our welcoming and open minded personalities because this allows our clients to feel as though they can ask anything. We listen carefully because we wouldn't be here unless you asked us to be, and we form lifelong relationships with the folks we design for as well as the ones that we design with. Sustainable design is at the core of our thinking. We place less emphasis on the latest products or ‘green’ technology, but instead we ask, “have we designed your building to best take advantage of the sun, the prevailing winds and shading from your site’s vegetation?” We remodel before we replace. We reuse before we recycle, and we don’t waste. We design with the smallest impact because we know that it is the right thing to do. We design as a team, with quality, function, comfort and longevity in mind and this philosophy carries over to our client service. Our projects aim to be enduring, timeless and ultimately satisfying. The natural beauty of the Pacific Northwest provides a touchstone for our designs. As a studio, we focus on creating timeless architecture fitted carefully in the natural environment and the local setting. We work closely and collaboratively with our clients throughout the design and construction process. The final results are a wonderful mix of that collaboration. We hope you enjoy looking through the work presented here and that it may inspire your visions. SHED is a full service architecture firm, offering a broad range of design services. From custom homes, remodels and commercial interiors, to landscape, furniture and conceptual designs, we seek out thoughtful solutions that embody the qualities of economy, beauty and craft. HELGA SIMMONS INTERIOR DESIGN LLC is a full service residential and commercial interior design company based in Kirkland, Washington. It is owned and operated by Helga Simmons. Personalized Interior Design that Combines International Flair with Modern or Traditional Style to Create a Warm, Inviting Home that is Uniquely You. When your life changes, your home should too. 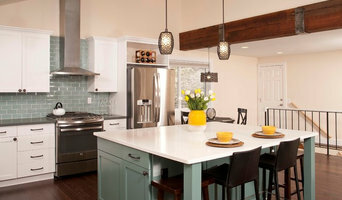 Whether you want to downsize to a more manageable home, or the kids have left and you finally have the chance to remodel your home, you deserve a space that's warm, inviting and unique. Starting from scratch? I can help you find the perfect furnishings for your home. Have pieces you love? I can work with you to incorporate your favorite pieces of heirloom furniture (restore them if appropriate) and combine them with quality new pieces to create a home that's exactly your style.